How Much does Just Singles Cost? 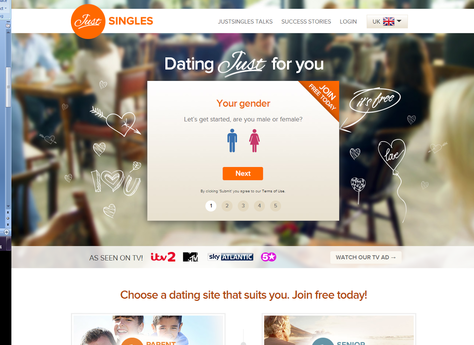 JustSingles.com is an online dating website which does exactly what it says on the tin – it’s just for singles. Specialising in singles looking to date, meet and chat, JustSingles.com pretty much sounds like every other dating website there is and therefore has to offer a few perks to avoid it simply becoming a part of the masses. Its worth noting that Just Singles is only suitable for straight people. 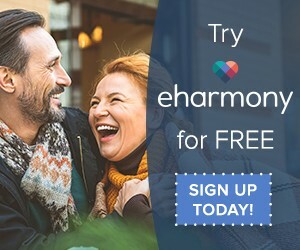 When you sign up to create an account, there are only two options – man looking for a woman and woman looking for a man. If you’re a single, looking to meet other singles to do single stuff, carry on reading to find out how much it costs to join JustSingles, a general overview of the website and any current Just Singles discount codes available to make finding love just that little bit more affordable. There are only two different types of Just Singles membership – free and paid – potentially saving you hours of ‘uhmming’ and ‘ahhing’ over which level of membership is right for you. If you want to chat with other Just Singles members, you’re going to have to pay for the privilege – there’s no way around it. JustSingles.com promotes their three month package as the best option because it saves you 33% in comparison to buying three lots of the one month membership, we’d probably go with that, so go sign up if your keen. Unlike some of the other benefits of other dating sites, some of these may be worth investing or at least testing, I’d love to hear if any of you lovely lot have invested in these extra bits. 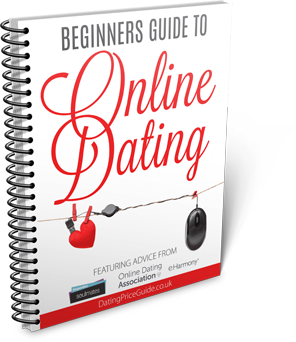 Decided to take the plunge into the world of online dating with JustSingles? First you need to set up an account, which will take less than the time it takes the kettle to boil. You’ll find the account registration form on the homepage – you really can’t miss it. Simply select your gender and who you’re interested in, date of birth, first name, email address and password. Of course, if you want anyone to actually consider you as a potential date, you’re going to have to tell them more than your name and age. After you’ve signed up for an account, you’ll need to complete your profile by filling in an ‘About Me’ section essay-style, upload at least one photo, fill in characteristics such as height and occupation, and finally share your interests. If you can’t be bothered with all of this, you can skip these steps and come back to them when you’re ready by editing your profile. As soon as you’ve completed your profile, a box will pop up asking to specify your location by typing in your postcode – this will help locate singles in your area. After you’ve typed it in, you’ll be taken to the homepage where you can see who’s online and which new members joined today. Before you can explore the rest of the website and find out what’s what in the JustSingles online dating world, check your email for the JustSingles activation email. You won’t get very far with an inactive account. If you do decide to upgrade your free account to a paid one, you can do so by clicking on the ‘Upgrade’ tab on the navigation bar at any time. When you do so, you’ll be taken to a page where you can choose how long you want your membership to last and how you want to pay. If you’re lucky enough to have a Just Singles promotional code handy, make sure you click on the ‘Yes I do’ link next to ‘Do you have an offer code?’A little box will pop up where you can type in your code and click on ‘apply’ to use it. Sometimes I can;t find discounts for some dating sites. If there arent’t any valid Just Singles promo codes, you can sign up using he link below andI’ll personally send you £10 cash as a thank you for using this site. You can fidn thr terms of the offer below. 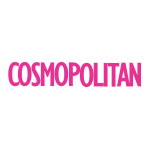 *EXCLUSIVE OFFER* Join Just Singles & receive £10 Cashback. If you opt for a paid membership, you need to keep on your toes. 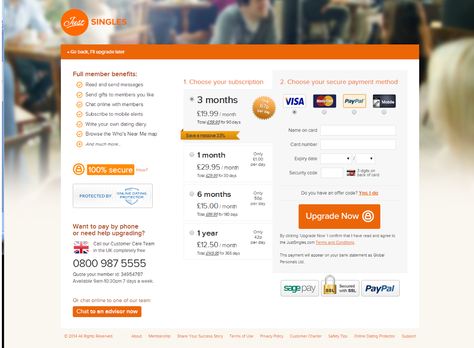 On the last day of your subscription, Just Singles will renew your membership at full price. If you don’t want your subscription to be renewed, you’ll need to call the customer care team at least 72 hours before the renewal date. I’m finding difficulty cancelling my membership. Please cancel this for me.